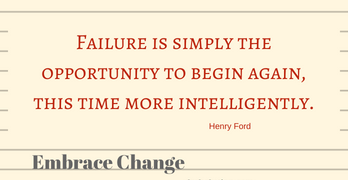 Embrace Change try refrigerator oatmeal it is a simple solution for a quick healthy breakfast. When I was on my cruise in January, I ate oatmeal every morning for breakfast. Although, I have eaten oatmeal before, having it daily was quite filling. I decided to add oatmeal to my morning breakfast routine. I thought eating oatmeal would be something that would help sustain me on my healthy eating plan. When I got back home the oatmeal wasn’t hot and ready to eat when I got up, like it was on the ship. I could have done instant oatmeal, but it does not taste the same. Ugh! My journey down the healthy eating path came to a halt. My next plan was to batch cook my oatmeal, and heat it up each morning. That lasted a week maybe two before I stopped again. Then I remembered seeing a recipe for “Refrigerator Oatmeal” on Pinterest, Facebook …somewhere out there in cyberspace. I thought to myself, no way was this going to taste good, but I would give it a try. Would the oatmeal be too dry, too wet, or would it have no flavor at all. 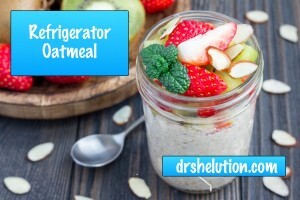 OMG, “Refrigerator Oatmeal” is so good and simple to make. This is the best kept secret that needed to be told. How can oatmeal and milk put in the refrigerator taste so good. How; not sure but I am hooked. Refrigerator Oatmeal can be taken right out of the refrigerator, and eaten right out of the jar. 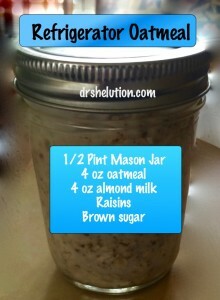 The recipe is a simple, use a 1:1 ratio, oatmeal to liquid. I use almond milk, but I have seen recipes use soy, whole milk, skim and even water. 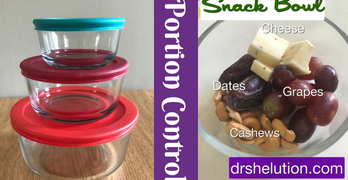 The possibilities to add flavor is limitless, nuts, fruits, brown sugar, just go on Pinterest for recipes. My secret ingredient is chia seeds. I also prefer to put mine in the microwave for 45 seconds to knock off the chill, if I don’t remember to take it out of the fridge when I first get up. All you need to make this simple treat is a jar, oatmeal and liquid. I use a 8 oz. mason jar. I normally fill 3 or 4 jars at a time with oatmeal. At night I put 2 jars in the fridge (1 for me the other for Rick) with great anticipation for morning breakfast. 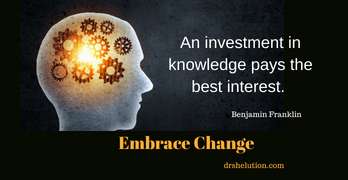 I can’t guarantee that you will love this as much as I do but “Embrace Change” try something new.